Velvet Falernum, Orgeat, and Rum gathered together to capture the Essence of Tiki with The Friday Flame Cocktail. One day we went to Maui and we never really came back. Our bodies are located in Calgary but our minds (and spirits) reside beside the ocean watching the sun go down as palms sway in the breeze. 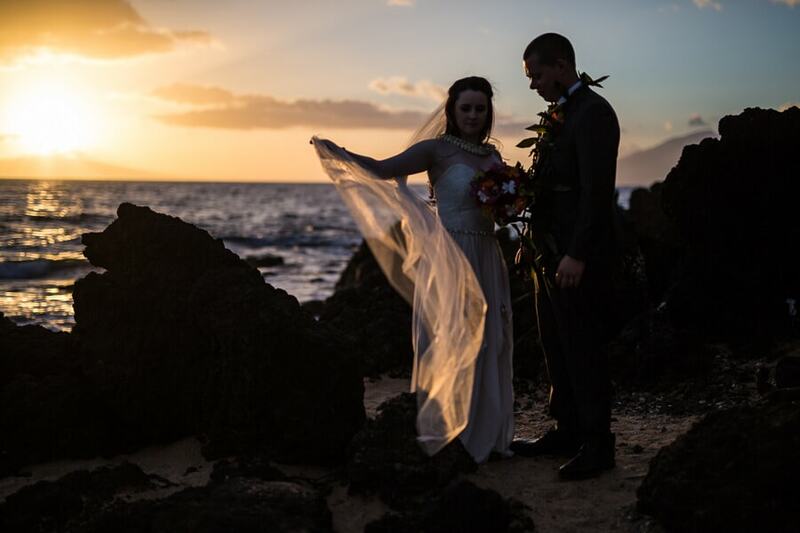 The funny thing is Maui would never have entered my mind as a travel destination but our son (and daughter-in-law) insisted they needed to be married on a beach at sunset. I always say that ‘mother knows best’ (because I’m a mom, duh) but in this case my son was wise beyond his years. I fell in love with Maui…hard. For the last two months I’ve been wearing my Maui gear; cool swirly skirts, palm tree print blouses, khakis, and beach sandals as the weather allows it…and it does because, damn…this summer is a scorcher! The only souvenirs I brought home from our trip were a new daughter and a two-face Tiki mug. I had no reason for buying it other than I thought it was a kitschy throwback to some really wild island days and because it seemed like a ‘proper’ souvenir one would bring back from Hawaii. He sat on our shelf for a few weeks before I started to crave rum. Mr Tiki mug was sending Tiki vibes and I was receiving. One Thursday night I just looked at my hubby and said, “Hey, do you want to make some Tiki cocktails?” TBH I have NEVER seen him jump off the couch that quickly and within minutes I had him zesting and juicing a bag of limes. I think this is where our lines got crossed though, because he seemed to think we were just going to make a cocktail and that was it. What I really meant was, “Hey, do you want to join me on a new life path where we become obsessed with everything Tiki?” Because that’s what it is, it’s an OBSESSION. We began by making simple syrup and Velvet Falernum which is an infusion of limes, almonds, fresh ginger, lime zest, sugar, cloves, and rum (!). Then I began making orgeat syrup, which is a multi-day process similar to making almond or any other nut milk but requires multiple soaking/massaging cycles. Yes, I massaged nuts. It soon became apparent to hubby that he wasn’t getting a damn cocktail that night and he was bitterly disappointed. I realized I was losing my partner in crime and allowed him to break from script and make himself a Moscow Mule. He was momentarily appeased. When the orgeat and velvet falernum were ready, we set upon our Tiki adventure together. What we didn’t realize is that (Holy Hell) there are so many kinds of rums. We couldn’t really make too many drinks from our tiki cocktail book because we weren’t very well stocked with rum varieties. As with all hobbies, one must invest a little money in order to delve further into the depths of madness. So, we bought rum (s); Gold Rum, Aged Rum, Demerara Rum, Dark Rum, White Rum, Spiced Rum, Rhum Agricole, and Coconut Rum. Pretty much the only rum we don’t have is over proof rum because I am still looking for it. It’s a good thing we already have a pretty well stocked liquor cabinet so we had some nifty extras such as Amaretto, Cointreau, King’s Ginger, Absinthe, and Green Chartreuse to use as added flavours to our cocktails. It was enough to delve deeper into some serious tiki cocktails, anyway. Other tiki essentials are fresh squeezed citrus juices, some bitters, and you can never EVER forget the garnish. Sometimes the garnish includes a flashy stir stick, crazy straw, or parasol but you can get pretty creative with just fruit. One of the cocktails in our tiki book really caught my eye because it has a hollowed out lime half filled with green chartreuse as a garnish. The green chartreuse is lit on fire and allowed to burn for a few seconds before being tipped into the cocktail. Who wouldn’t want to try a flashy cocktail like that? The cocktail I created for Connecting Over Cocktails (a blogger cocktail creative extravaganza) uses this same garnish, some rum (okay a lot of rum), my home made blueberry jelly, velvet falernum, lime juice, white rum, and demerara rum. It’s called The Friday Flame. 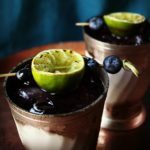 If you would like to make your own Velvet Falernum (and you should, it’s not difficult) here is the recipe from Tiki Cocktails: 200 Super Summery Drinks by David Adams. Toast the almonds in a frying pan over medium heat until they become golden. Transfer to a clean quart jar. Add the rum, lime zest, and ginger. Shake vigorously and leave to steep at room temperature for 24 hours. Strain the mixture through a muslin cloth, taking care to squeeze every last bit out. Discard the solids. In another clean jar, combine the sugar with 3/4 cup warm water and shake until the sugar is dissolved. Add the rum mixture to the sugar water along with lime juice and almond extract. Shake well. Mixture will keep in fridge for up to one month. Blueberries. Rum. Lime. It's Tiki time! Place an old fashioned or mint julep glass in the freezer and allow to chill for at least half an hour. Place first five ingredients in a cocktail shaker and give it a dry shake (with no ice) for about ten seconds. Add ice to shaker and shake until the shaker becomes frosty. Place loose ice in glass and strain cocktail over ice. Place garnish on glass, fill lime with green chartreuse and light with a match or lighter. 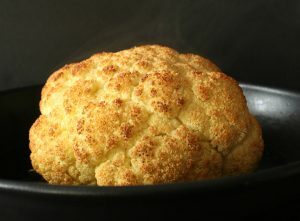 Allow to burn for 15 seconds, then gently blow out and tip liquid into the cocktail. Garden Gorilla goes tiki! Awesome! haha, now you know why I am selling my coins. I love this post, Bernice! I love how much you fell in love with Maui. I’ve never been, but would love to go someday. I think it’s wonderful when someone can fall in love with a place *this* much; as if you’ve found your very own magical corner in this humongous world and you’d be okay to never see the rest of the world so long as you could always travel to your one special corner. Your love for Maui definitely comes through in this drink, too! I love love love the whole toasted almond bit. I friggin’ love almonds, so I’m all over this idea. I seriously need to give this a go. Seems easy enough, too. Yay! So glad yo have you on board with our little cocktail squad! Our family had been to Big Island before and we loved it too, but there was just something about Maui really. Not sure what it was. Maybe a special time in our lives I guess… But I’ll still be travelling. I could never be one of those people that find a place and only vacation there, Maui will always hold a special place in my heart. If you love almonds, you should really give the orgeat a go. It is almond milk on steroids haha. Lots of work but makes great cocktails. Unfortunately it’s not photogenic as it makes every drink cloudy/milky. I suppose it might not be so bad. Worth exploring further. I love the stories about Maui that go along with this gorgeous cocktail! I’m super intrigued by the ingredients and can’t wait to tuck in one night to try this out. Also the photos are gorgeous!! Cheers Bernice! Thank you so much Jess. I knew that story had to come out somehow! Maui definitely left more of an impression on my than I though it would. I don’t know about you but if I find a hobby that I like, I seem to fall hard, lol. Oh nice! What a lucky son you have! A wedding at sunset in Maui, not too shabby! and now I’m curious about that demerara rum, never heard of it. Anyhow this drink looks to die for;) love it! It’s a cane sugar based rum produced only in Guyana. Aged and overproof demerera are mostly used in tiki drinks, though it is also made into other varieties. Bernice, I know exactly what you mean about Maui. It’s magical, and left the same impression on us. This cocktail looks amazing, and really captures that Maui feeling. Thanks for sharing. Thank you very much for that Colleen. Do you have plans to go back someday or do you like to travel to different places each time? Bernice this is quite simply the best. 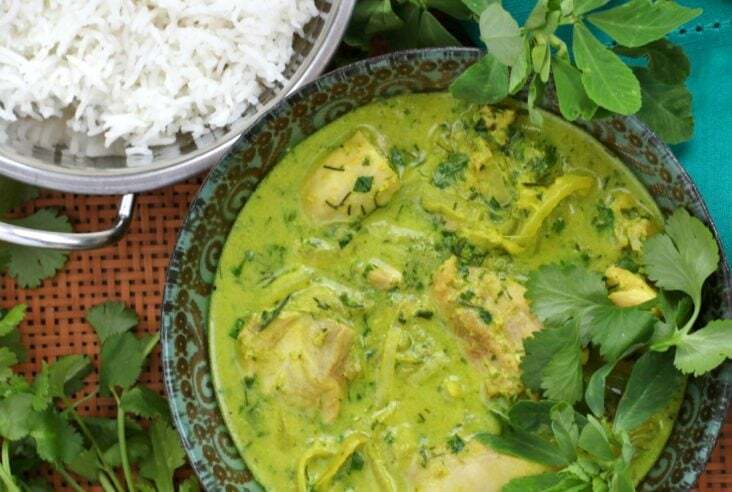 I love the sentimental feelings behind this recipe (I too adore Maui), but the dedication to make the recipe is truly inspiring. I love the whole Tiki vibe – brilliant! First of all, this post is hilarious! From your new life path of obsessing over all things tiki to massaging nuts to your story of your hubby jumping off of the couch in excitement I had a huge grin on my face the whole time. 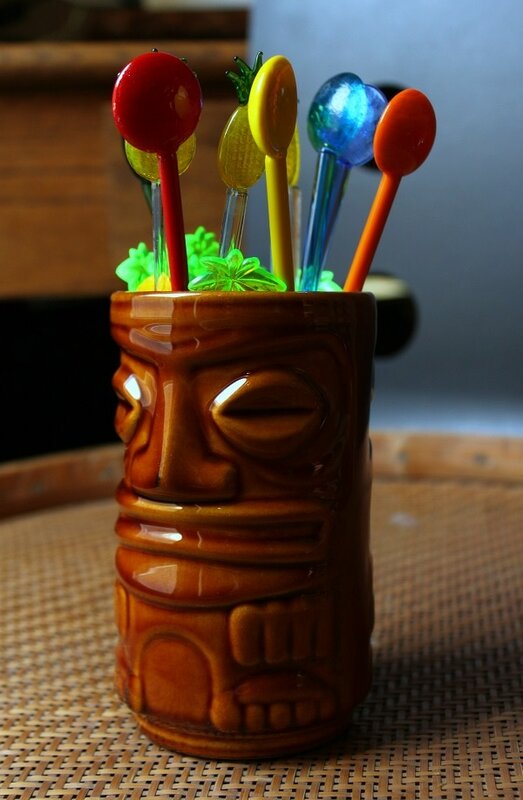 🙂 I LOVE the sound of your cocktail and am so intrigued by the ingredients and process of tiki cocktails — admittedly something I knew absolutely nothing about until I read your post. Velvet Falernum sounds incredible and I’m crazy about the fresh, summery flavours you infused here. Truly, an inspired creation! So happy to have you along for the COnnecting Over Cocktails ride. Cheers, friend! Oh my your photos! And such a great post. Keep wearing your Hawaiian shirts and mumus. They’re so comfortable! My husband and I eloped to Maui 35 years ago, so it holds a special place in our hearts. But Kauai – now that’s the island. Maybe your daughter will want to have a destination wedding?!!! Love that top photo, too. That’s really cool! My dad told hubby and I that we should elope haha. Never been to Kauai, next stop? I wanted to include a wedding photo, but allow them some anonymity…there are other more fabulous photos! Love this post right from the very first line! I definitely will have to try this cocktail asap, what a show stopper!! Now I just need to find me some tiki wear! I’ve been to Maui a few times and it really does have a hold on you. I love that you captured it in a cocktail. Such a wonderful drink, and I’m so glad to have you as part of this fun little collaboration of ours! This is absolutely gorgeous (and I love those frosted glasses too), with such interesting flavours and great ingredients. I love that there are almonds in this, and the cloves… as you know, I’m big on cocktail DIY and the crossover between cooking and drink-making, so this is all kinds of fun! Can’t wait to see what you dream up next. Cheers! Next weekend there’s a cocktail festival here in Calgary with workshops and everything…guess who’s going? this girl!! It’s so much fun to explore the world of cocktails.